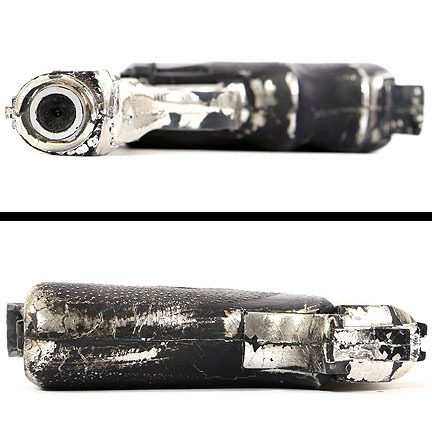 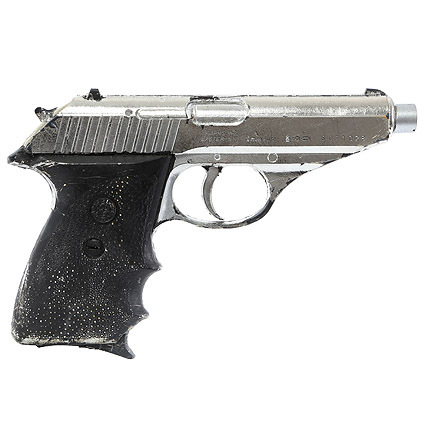 This non-functional prop Sig Sauer P230 was used by the character “Tom Welles” portrayed by actor Nicolas Cage in the 1999 motion picture “8MM” co-starring Joaquin Pheonix and James Gandolfini. 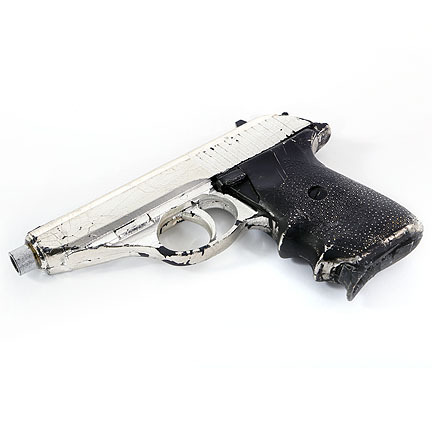 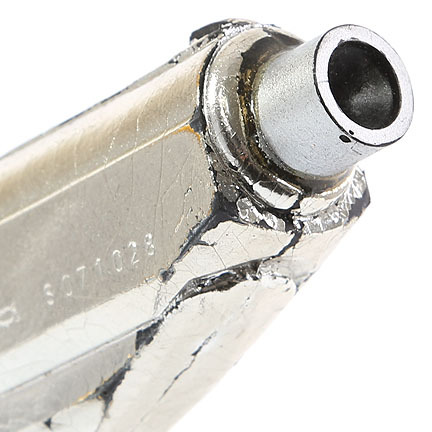 The prop weapon is constructed of dense rubber with a weighted black handle and has been hand painted to simulate an actual stainless steel Sig Sauer, there is some loss of paint from age and its use in action sequences. 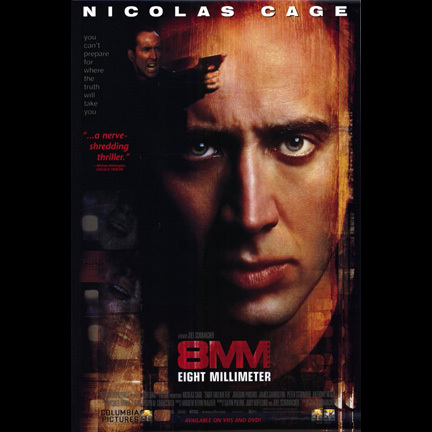 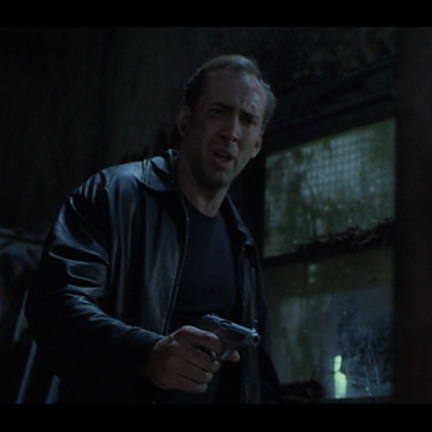 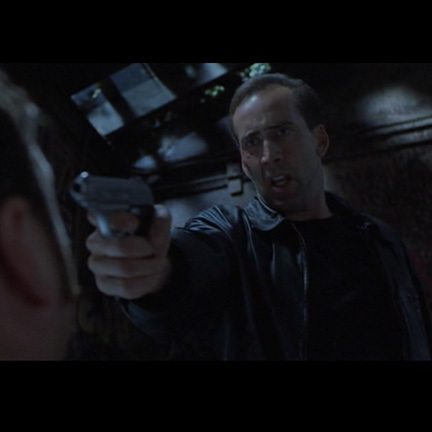 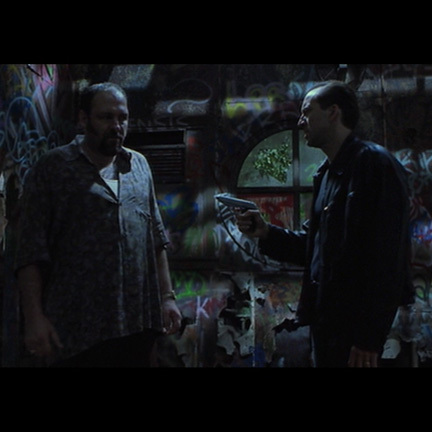 Mr. Cage used this prop weapon in numerous pivotal scenes throughout the film, and most notably in the sequence where Welles kidnaps “Eddie Poole” (Gandolfini) and forces him to show him the abandoned building where Poole and his associates filmed the “snuff” film that was central to the film’s plot. 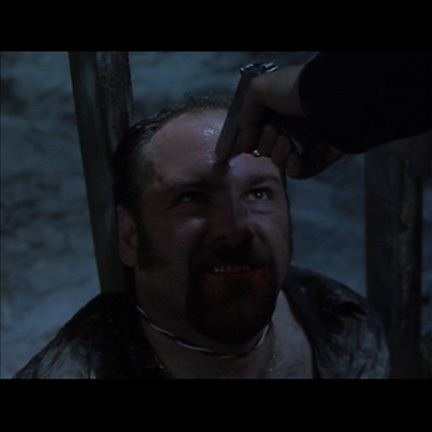 After Poole reveals the details of the murder, Welles becomes enraged and strikes him with his pistol before tying him up. 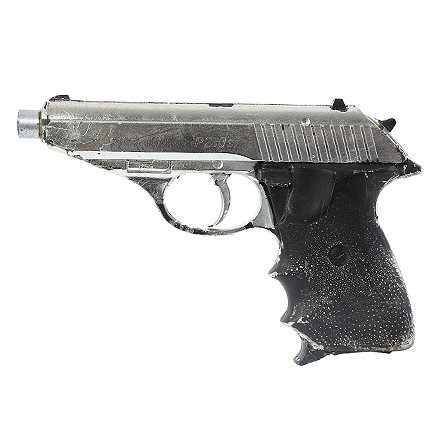 Welles then goes outside to call the victim’s mother and returns later to brutally pistolwhip Poole again with his P230 before dousing him with gasoline and setting him on fire. 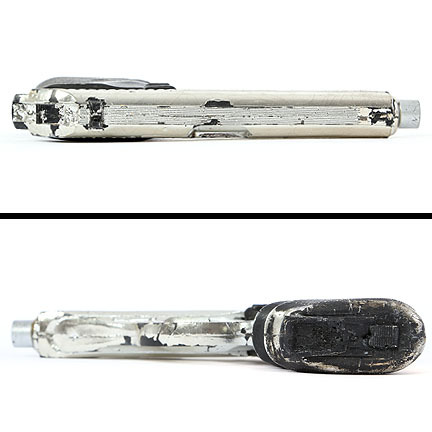 The item is in good screen used condition with minor evidence of wear. 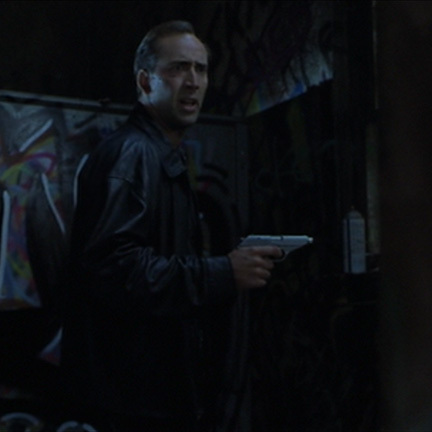 Accompanied by a letter of authenticity from the film’s weapons coordinator.